The Jenks Museum of Natural History and Anthropology at Brown University was founded in 1871 by John Whipple Potter Jenks, who curated its collections of natural and ethnographic specimens until 1894, when he died on the steps of the museum building, Rhode Island Hall. 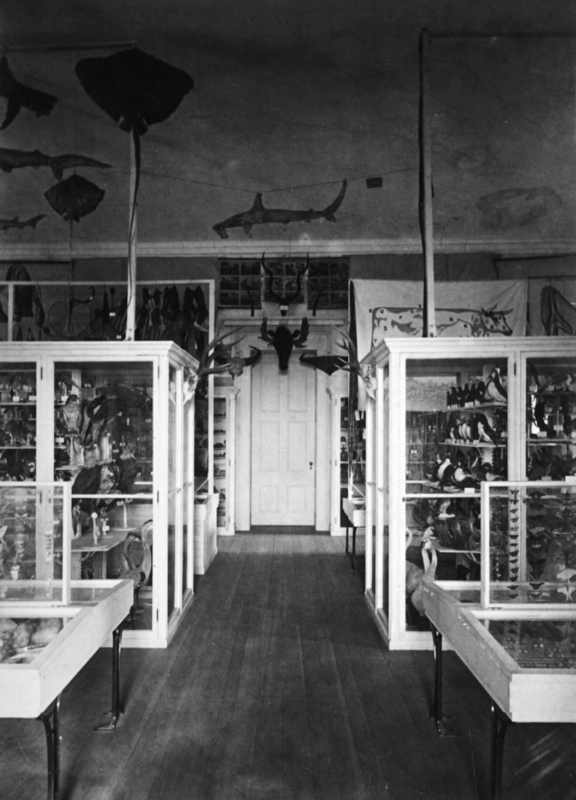 During that time, the museum served as a teaching collection and hands-on laboratory for the study of natural history, and also as a site in which the emerging field of Biology took shape. In 1915, the museum was dismantled to make space for classrooms and its collections were put into storage, where they would remain until 1945, when the biology department moved 92 truckloads of specimens and artifacts to the university dump on the bank of the Seekonk River. A limited number specimens from the collections remain at the Haffenreffer and other local museums. Kathrinne Duffy, “The Dead Curator: Education and the Rise of Bureaucratic Authority in Natural History Museums, 1870–1915,” Museum History Journal 10, no. 1 (2017).